2 boxers training at a Kitchener gym, Boxing by Syd, make ready to enter the ring in their professional boxing debuts in the USA. KITCHENER, Ontario - Sept. 1, 2016 - PRLog -- Erie, Pennsylvania is about to learn what Canadian Boxing development is all about, as 2 boxers training at a Kitchener gym, Boxing by Syd, make ready to enter the ring in their professional boxing debuts in the USA. Bradley Hamil and Robert Thomas, both residing in Cambridge, Ontario, will be heading south to the Presque Isle Downs and Casino this Saturday, September 3rd to be featured on an 8 bout card presented by Bizzaro Promotions. 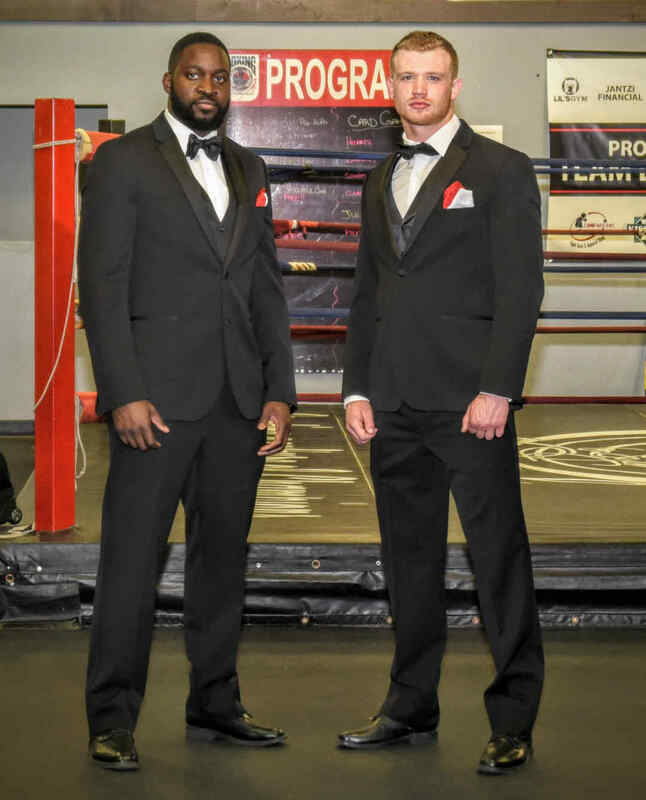 Heavyweight Bradley "B-Smooth" Hamil is 16-1 in his amateur career which includes winning both the WBC Canada Golden Gloves tournament, and the Ringside International Tournament in 2014. Hamil won the Ringside tournament undefeated through 3 days of boxing, which further fueled his desire to become a pro boxer, and push himself past what he thought possible. On Saturday he will meet Idris "Grumpy Bear" Wasi (1-0-0) of Sacremento, California, a former Pro MMA fighter with 10 matches under his belt. 23 year old Robert Thomas is a former professional kickboxer, that discovered he had a deep passion for boxing, which lead him to the training facility at Boxing by Syd to work with Syd Vanderpool and his team of elite coaches. Although his amateur record is short, his previous success competing in Glory, the #1 Kickboxing series in the world, has allowed him to feel prepared to take the step into professional boxing. Training with Syd Vanderpool and his team since early 2015, Thomas will step into the ring against Antwaun Taylor of Cincinnati, Ohio in the Cruiserweight division. Taylor has the edge in experience with 4 fights to his pro boxing record. Syd and his team of coaches and professionals are not new to the pro boxing game. In the last 10 years they have coached amateur, olympic and pro boxers alike. In 2009, Boxing by Syd debuted their first pro boxers with United Promotions out of Mississauga, Ontario. Since then, they have coached more than 10 pro boxers including Natasha "The Nightmare" Spence, the current WBF World Lightweight Women's champion, and "Dangerous" Denton Daley, who won the NABF and WBA-NABA Cruiserweight titles and was ranked #2 in the world under the coaching of Vanderpool. When asked about stepping back into the Pro spotlight, Syd had this to say about the 2 young boxers: "This is a very exciting time for me to be involved with not 1, but 2 boxers who have the ability to go all the way. Not to mention they are heavyweights and that's the division that has always garnered the attention of the fans and media."